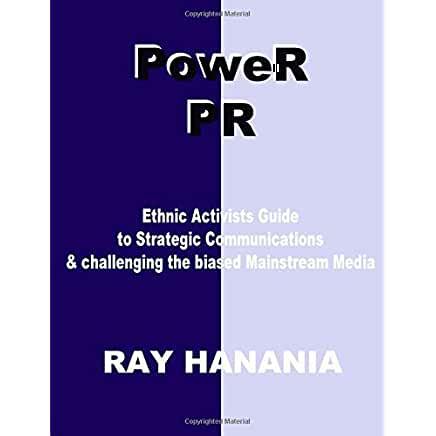 “The mainstream American news media is the source and origin or discrimination that empowers government and politicians to undermine Arab and Muslim rights in America,” Hanania, who has won numerous journalism awards including four Lisagor awards for column writing. Click here to get more information on the new book which is available online for $24.95. “Yalla! Fight Back is for Arab Americans who have been demonized, excluded, maligned and marginalized by the mainstream American news media. It is for Arab Americans who have had enough and want to initiate positive change to restore their rights. It is a blueprint to help Arab Americans confront the racists who push us down, push us aside, and deny to us the benefits that we earned as hardworking, taxpaying, military-serving and law-abiding citizens of this country,” Hanania writes. 2 – Unite as a community and stop fighting internally over issues. The biggest hurdle Arabs in America face is that we are often our own worst enemies. We’re victims of Israeli atrocities, news media bias and societal racism from those facts. As victims we act like victims and focus on the easier target, bullying our own instead of standing up to injustice. Stop pretending that we are different from each other. Americans can’t tell the difference between Chaldeans and Arabs, Palestinians or Lebanese. We see the differences but the American public does not. 3 – Understand politics, it’s not about 100 percent. Politicians are measured by how much they support you and how much they don’t. If you agree with 80 percent of what a politician stand up and disagree with 20 percent, don’t focus on the 20 percent. Work to help that politician change that 20 percent, reduce it. But there will never be 100 percent. 4 – Tell our story and do it effectively. I will teach you the 10 fundamentals of strategic communications detailed in this book. 5 – “Fight back” is not about violence. It is about speaking out and speaking out effectively. Non-violence. Communications. Civil disobedience clearly explained to the public. 6 – Support the Arab American Media, which needs your support, and challenge the racism and bigotry in the mainstream American news media which excludes us and yet feeds off of our support. 7 – Emotion and anger are not strategies. Use effective strategic communications to make a difference. 8 – Recognize and acknowledge mistakes and failures and then correct those mistakes and failures. The first step in success is to recognize your failings, shortcomings, mistakes, and not repeat them. Change them. 9 – Speak to the real problems, not the consequences of the problems. Problems cause consequences and often we focus on those consequences rather than changing the underlying problem that caused the consequence. 10 – Don’t talk to yourself. Don’t talk to the choir. Identify your audience. Understand what that audience needs to better understand you, and give that audience what it needs wrapped around your message. “These are simple and easy steps to follow and the Yalla! Fight Back helps readers implement effective action to neutralize media bias and turn it around tot heir benefit,” Hanania said. Yalla! Fight Back is a supplement to Ray Hanania’s monthly live radio show on Detroit Arab Radio and regular podcasts on iTunes offering support to Arab and Muslim Americans. THIS POST HAS BEEN READ 3895 TIMES SO FAR. THANK YOU!